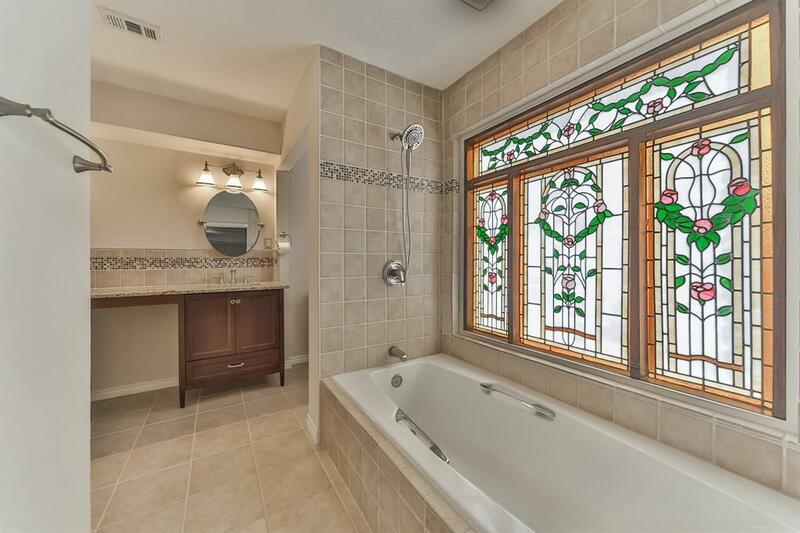 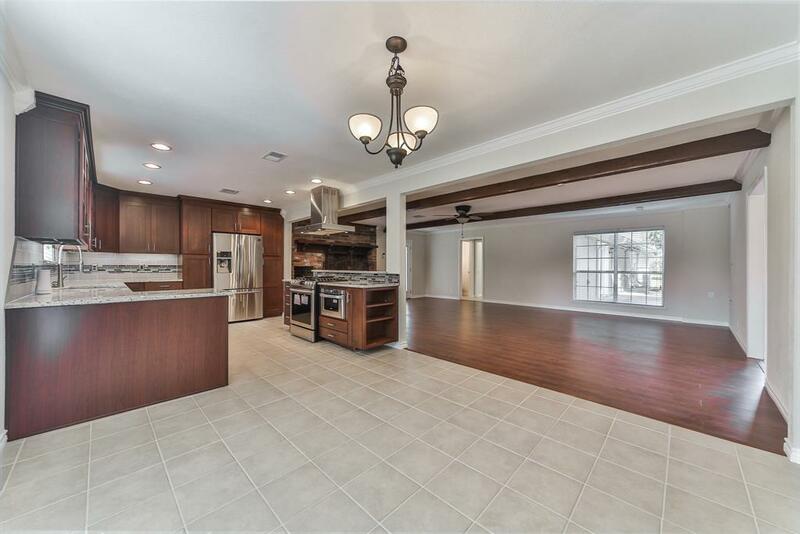 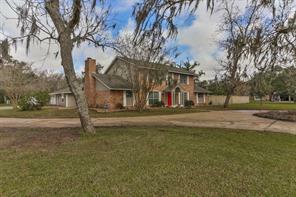 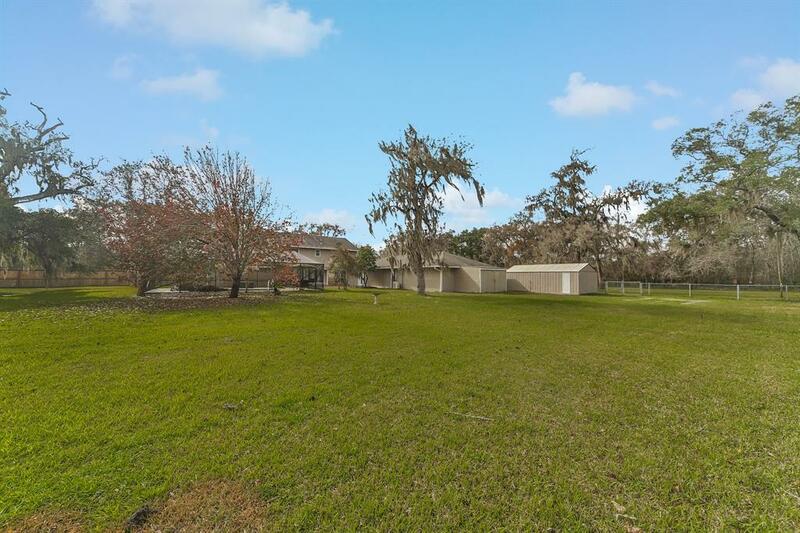 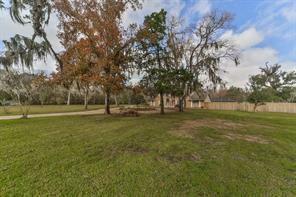 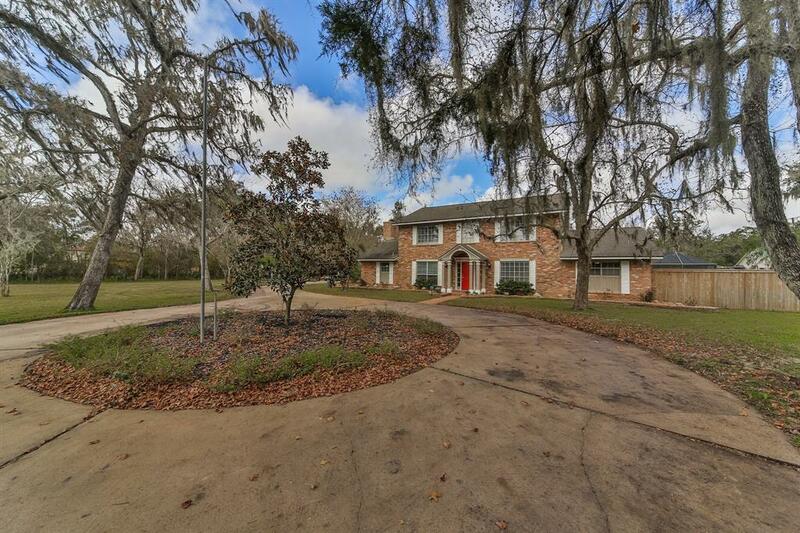 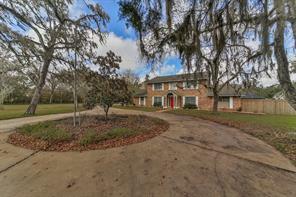 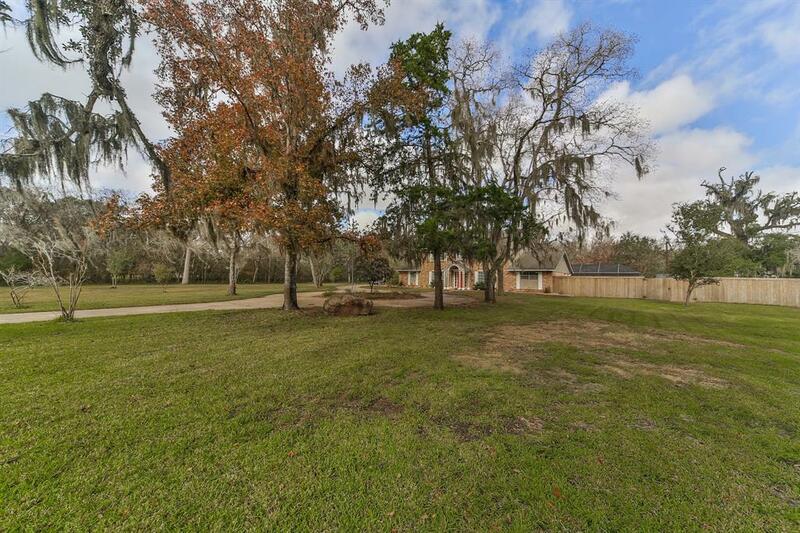 This beautifully renovated home on 2.5-acres in Lake Jackson is full of history and charm. Distinguishing features of this 5-bedroom, 3.5-bathroom property include a circular driveway, 2-story foyer, wood and tile flooring, crown molding and trim, one-of-a-kind wood burning fireplace with reclaimed bricks, granite countertops throughout, recently replaced water heater, 2 downstairs master suites, spacious laundry room with pull-out ironing board, study, game room, storage room, and 3-car garage with extra parking. 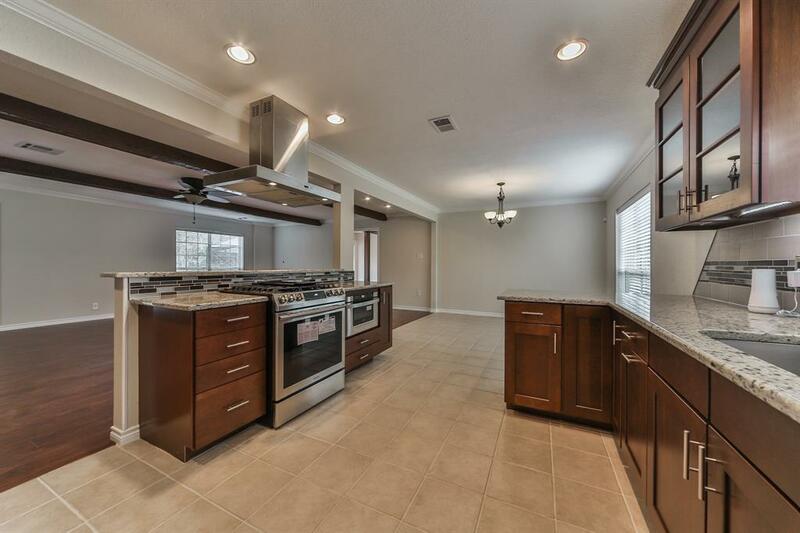 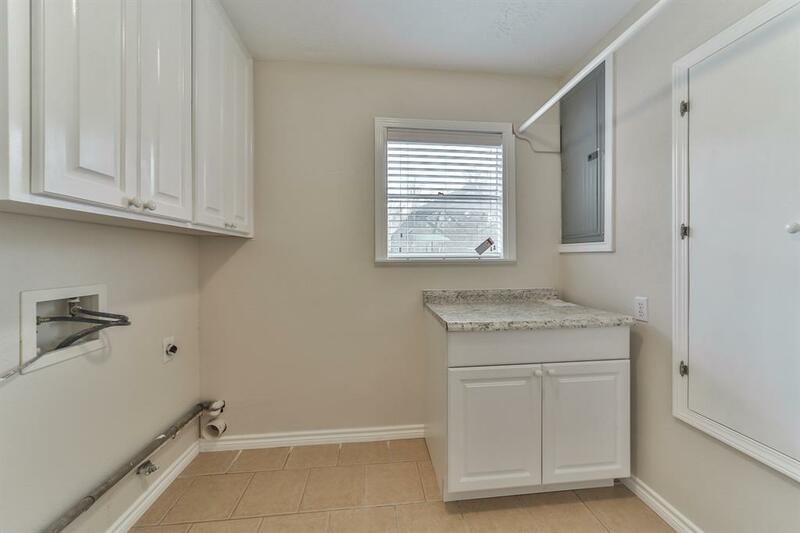 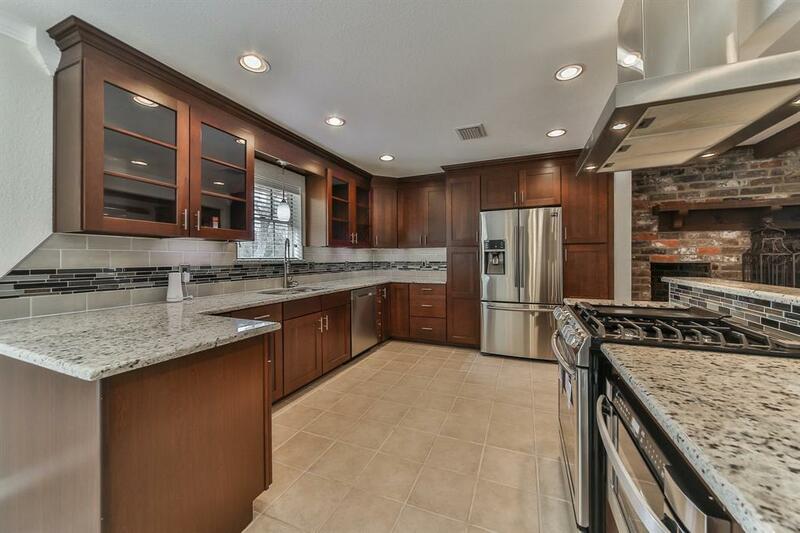 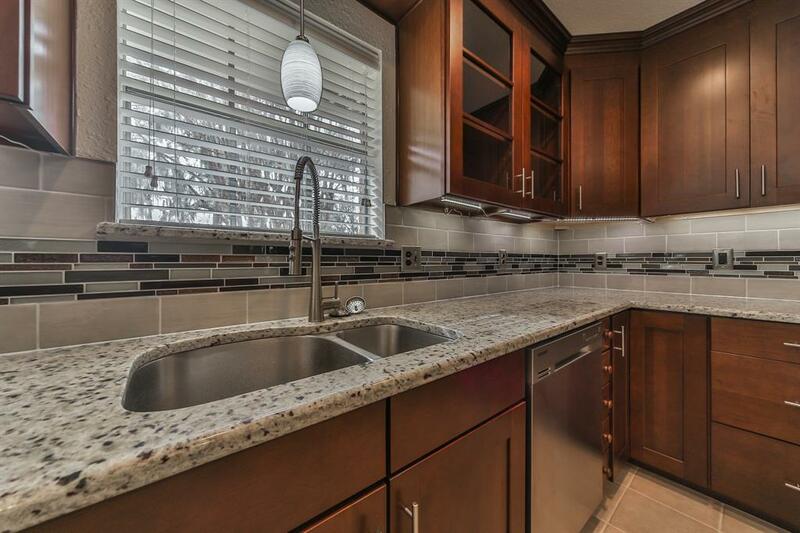 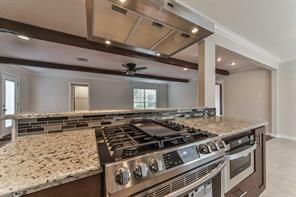 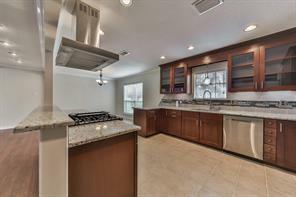 Create gourmet cuisines in the chef’s kitchen equipped with a stainless-steel range hood, granite countertops, new stainless-steel appliances, mosaic backsplash, custom cabinetry, and a breakfast bar. 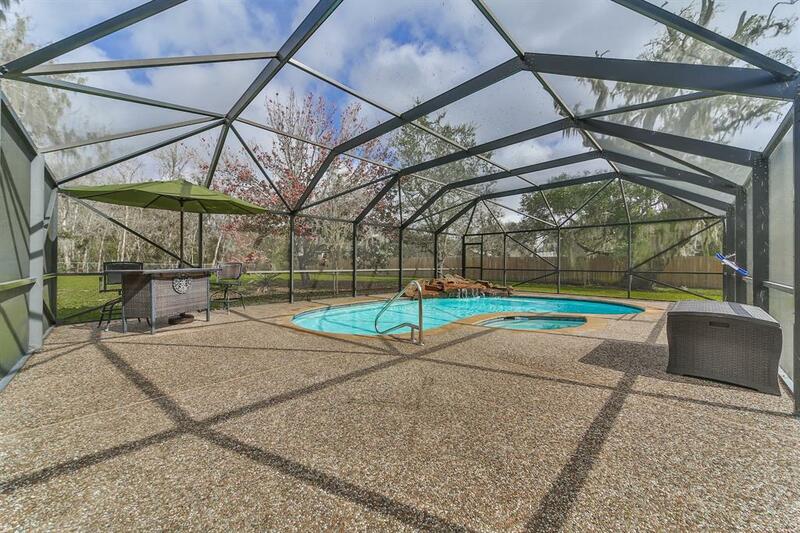 Enjoy outdoor entertaining and leisure on the enclosed patio featuring a swimming pool with rock waterfall and spa. 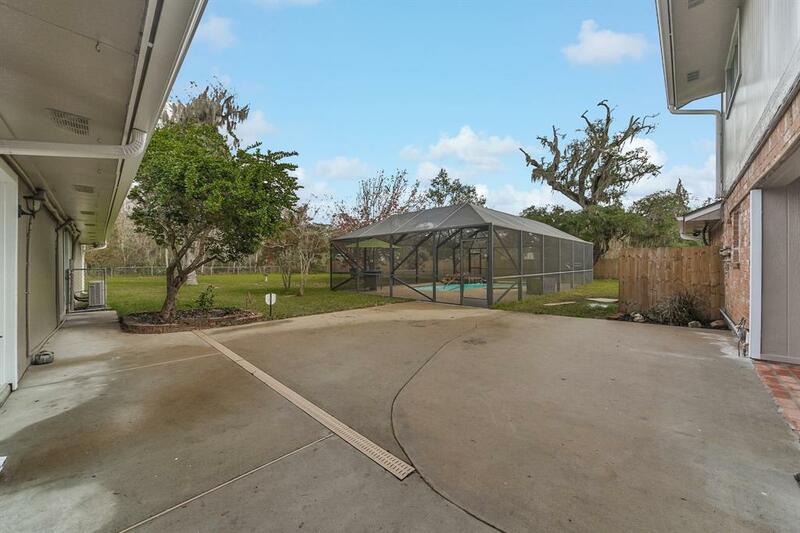 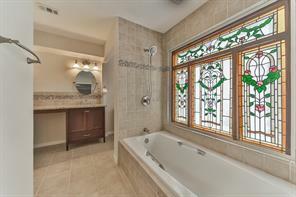 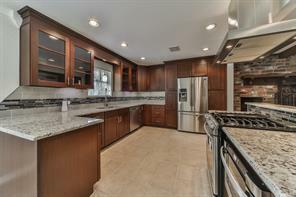 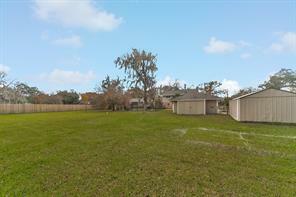 Situated across the street from the top-rated Wilderness Golf Course. 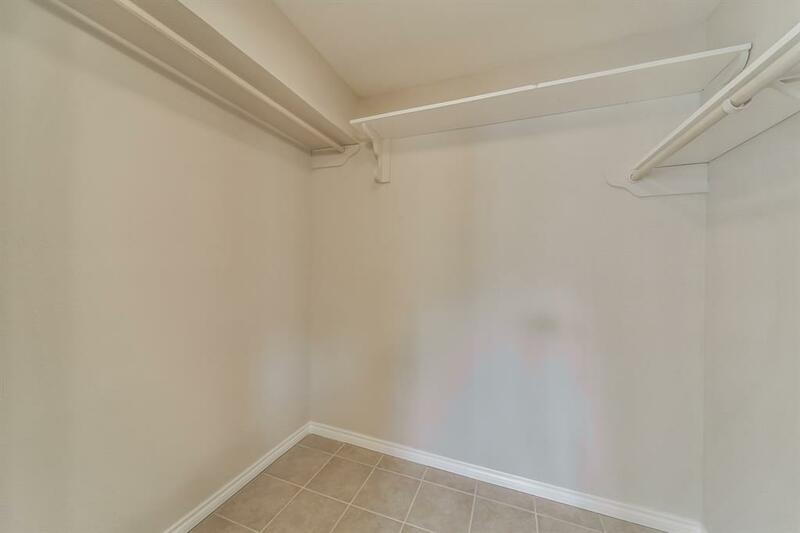 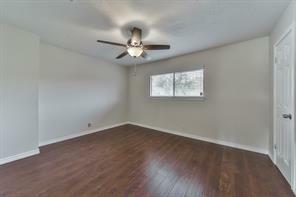 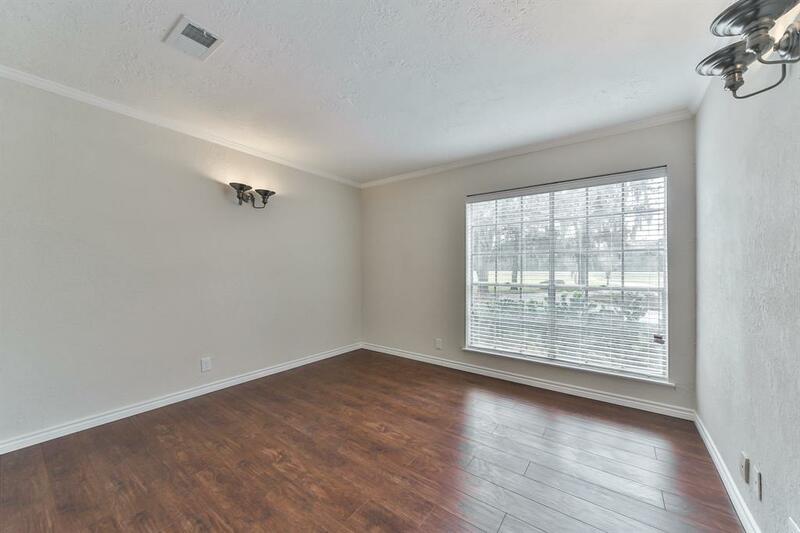 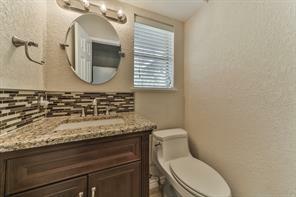 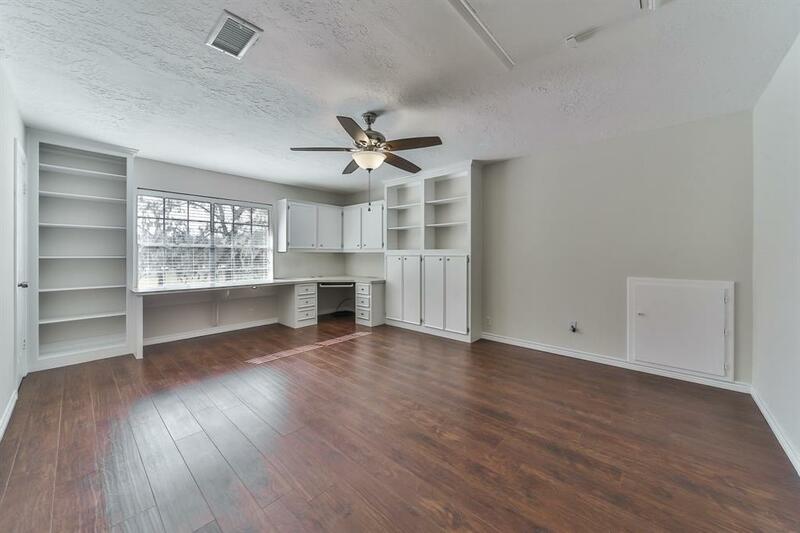 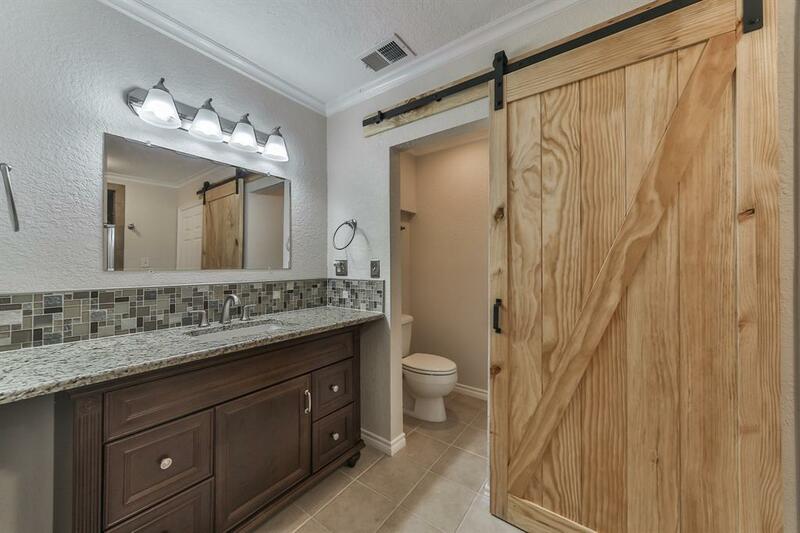 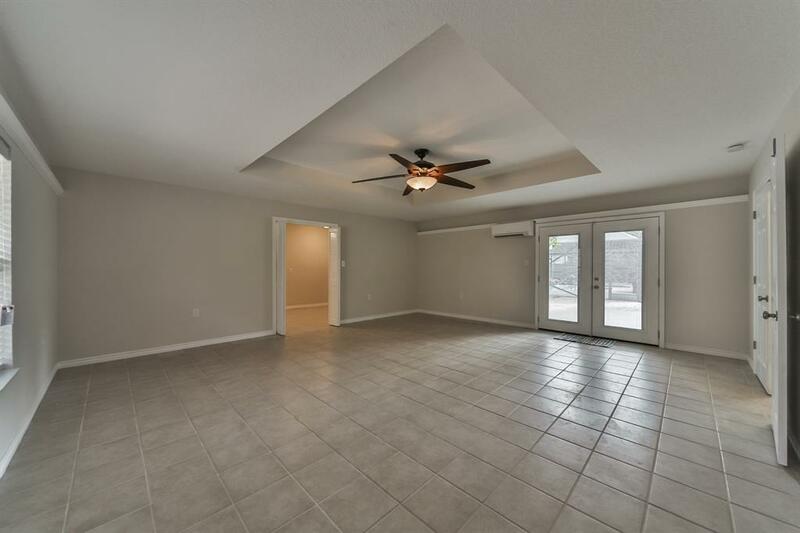 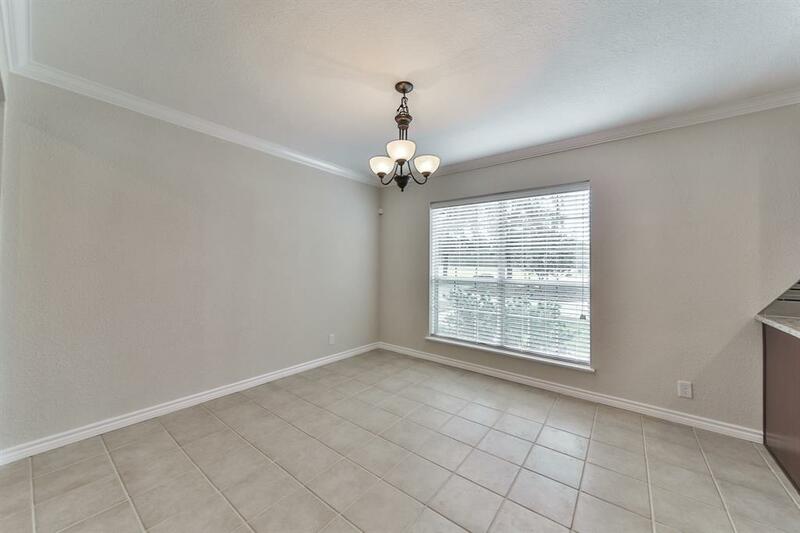 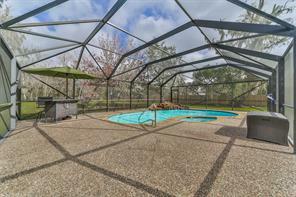 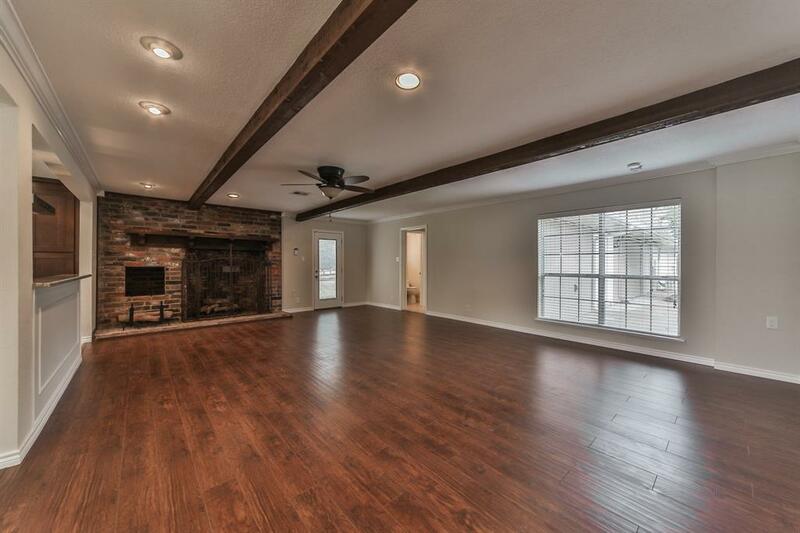 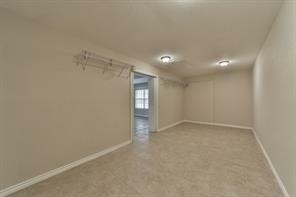 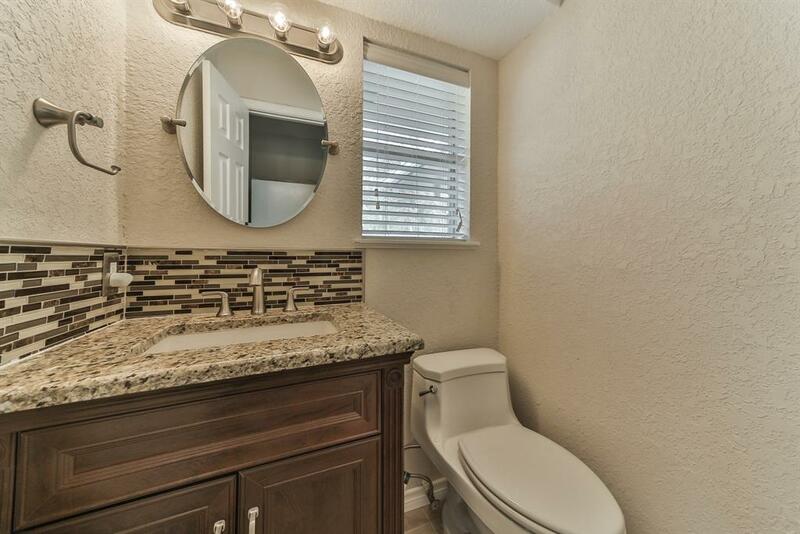 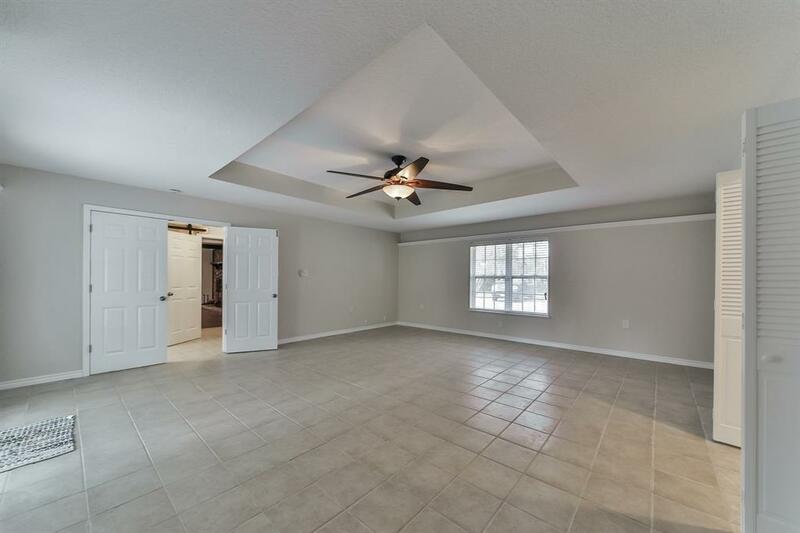 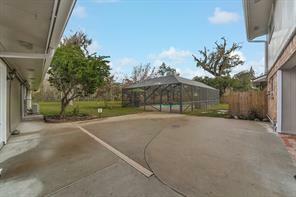 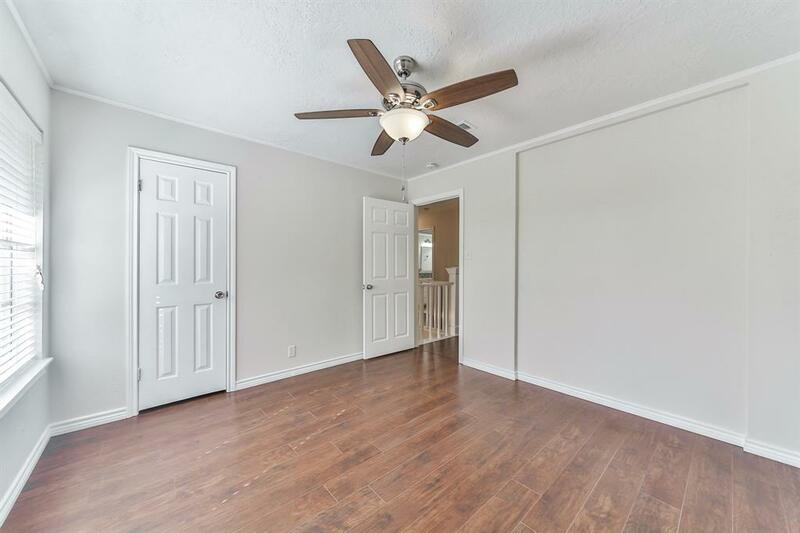 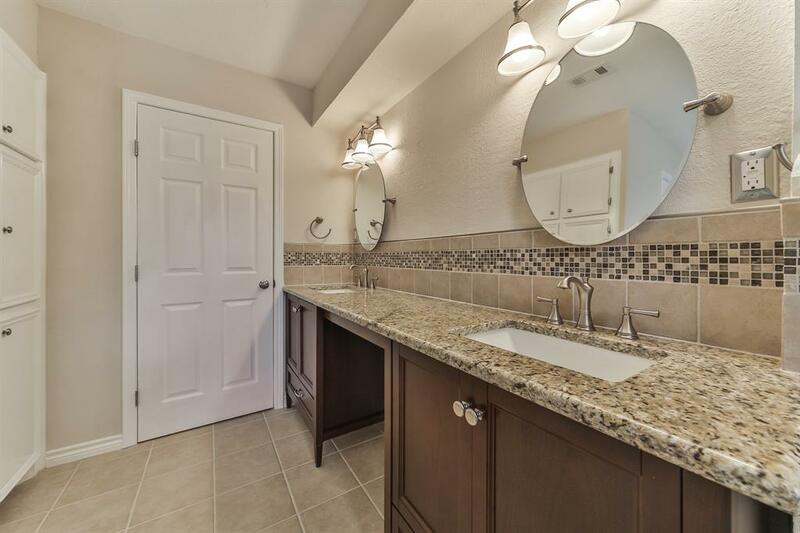 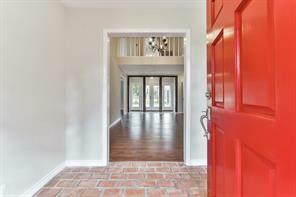 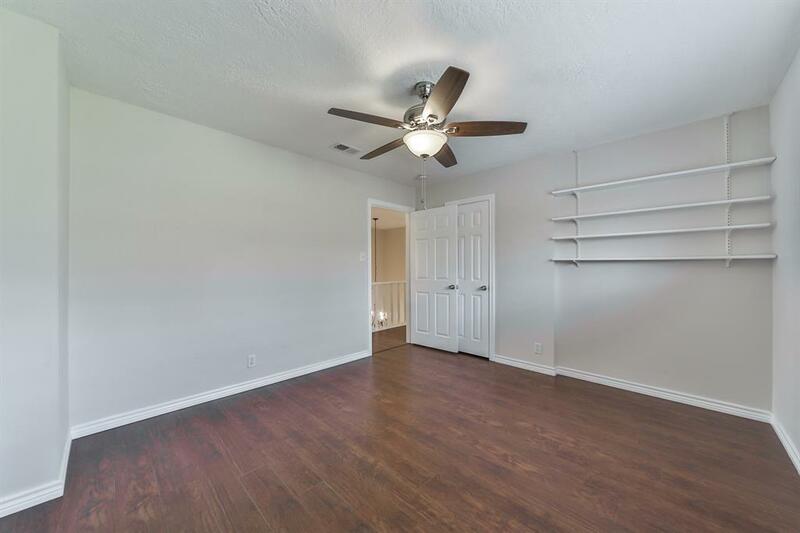 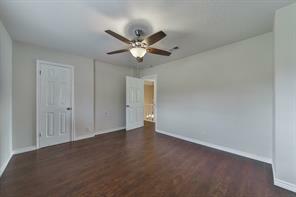 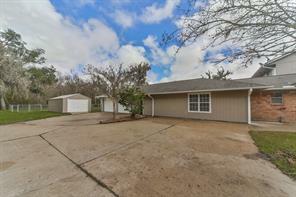 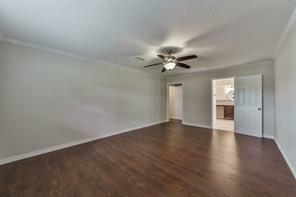 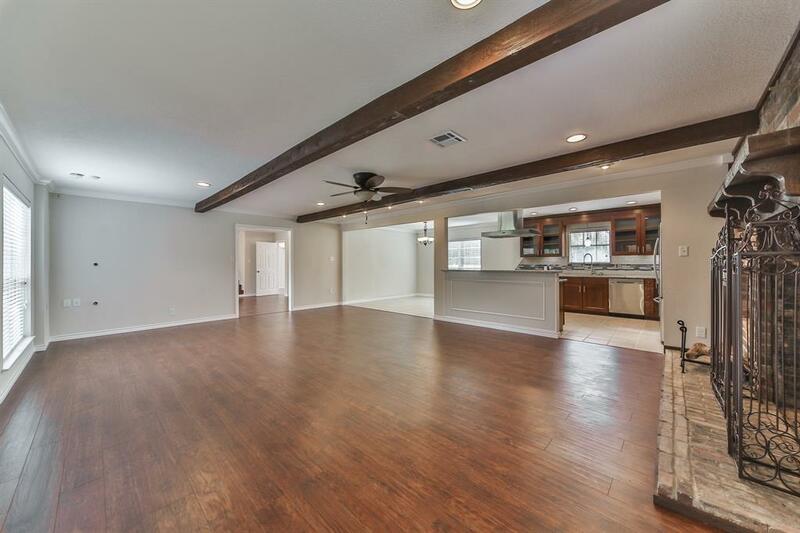 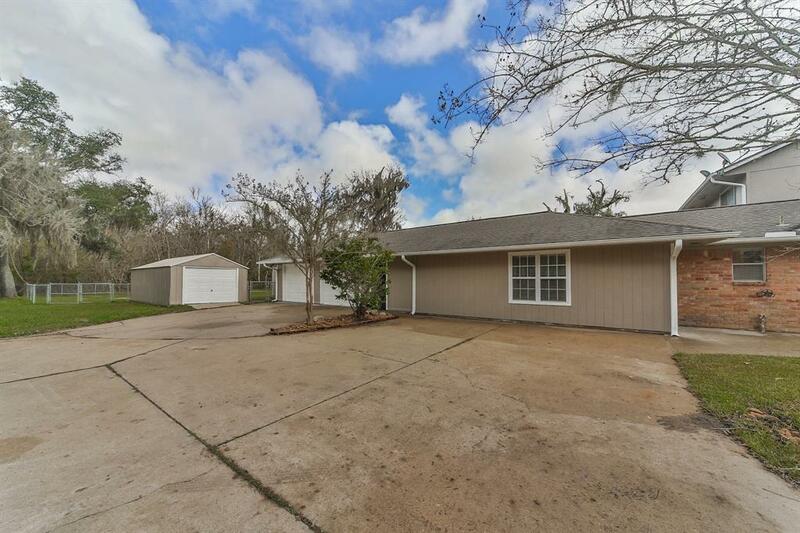 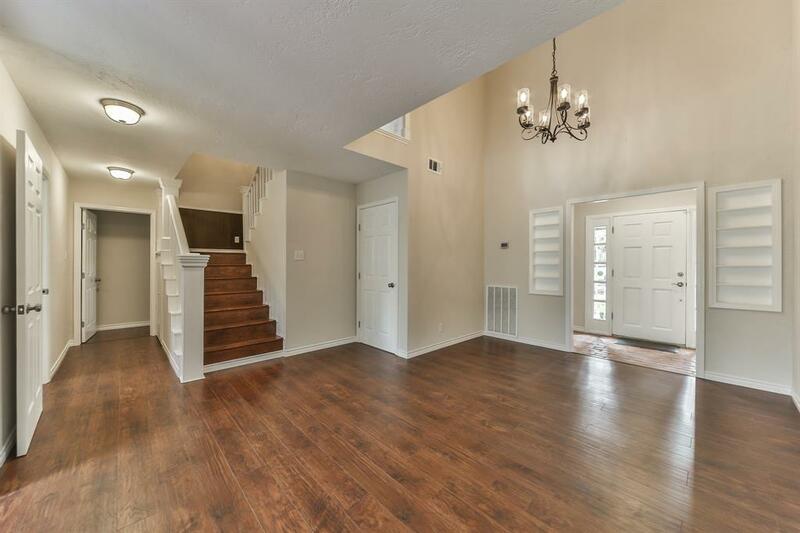 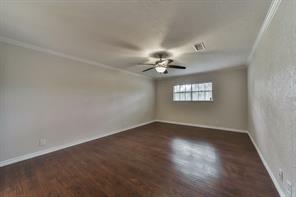 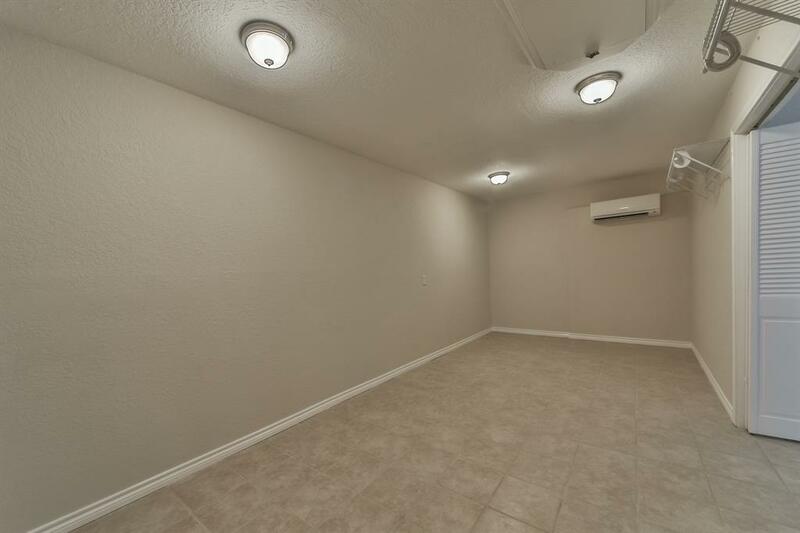 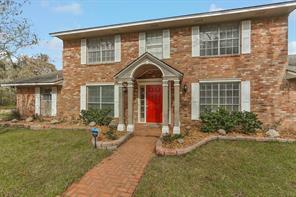 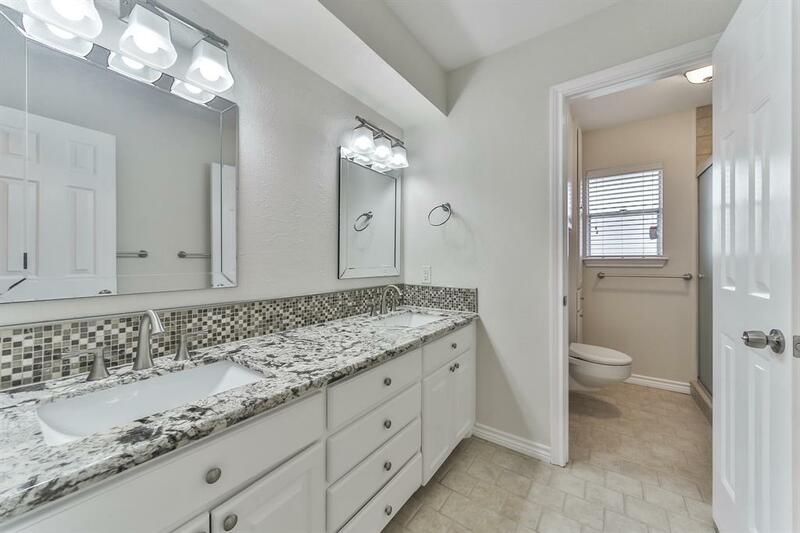 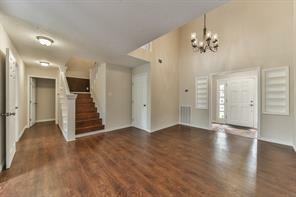 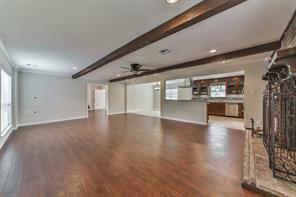 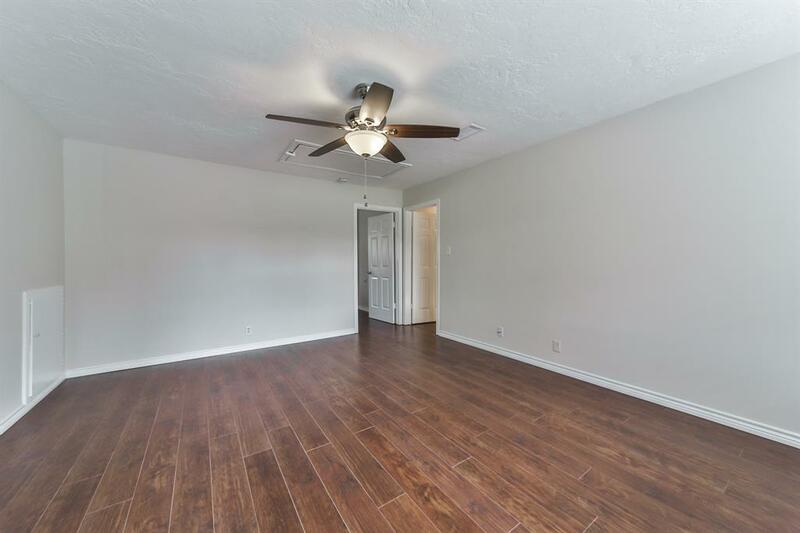 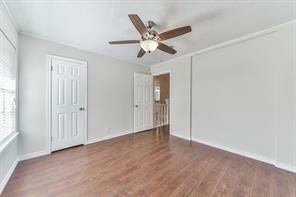 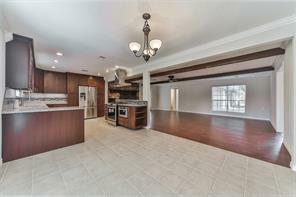 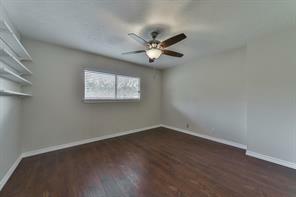 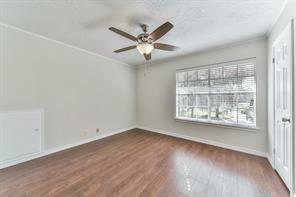 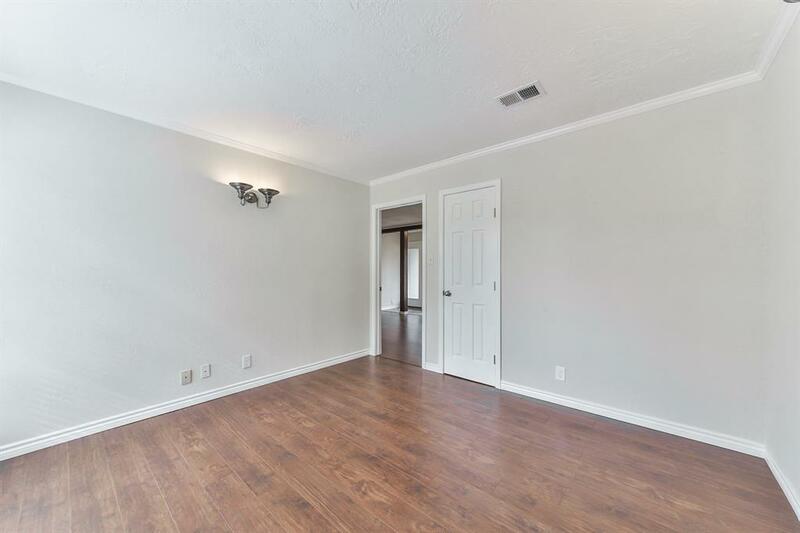 Ideal for commuters with proximity to TX-288 and TX-36. 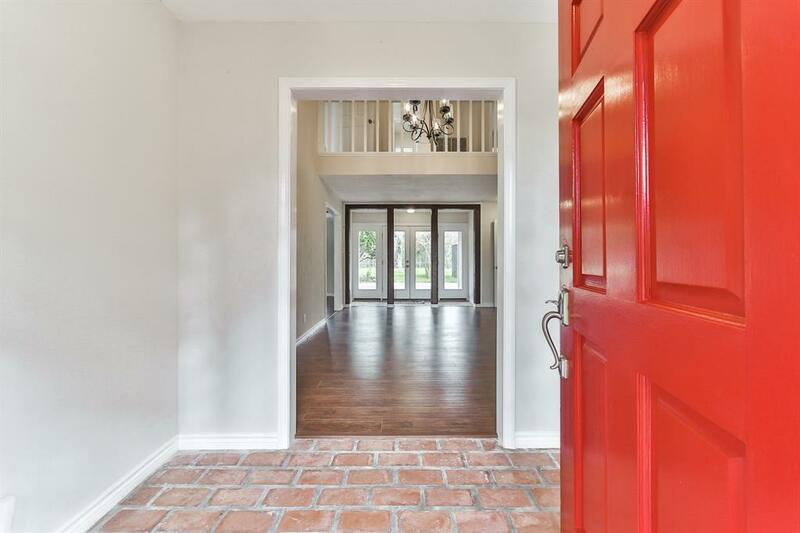 Call today – your dream home awaits.